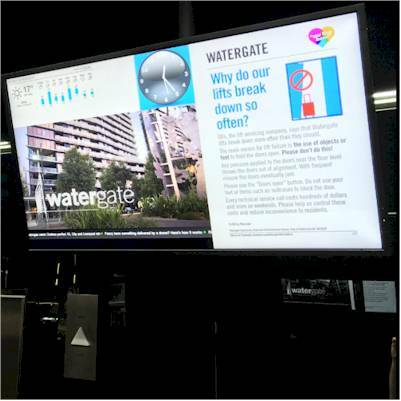 We have a growing number of clients spread across Australia which started with the University Of Canberra purchasing Repeat Signage digital signage software several years ago. Since then we have clients from the major cities to small outback towns. 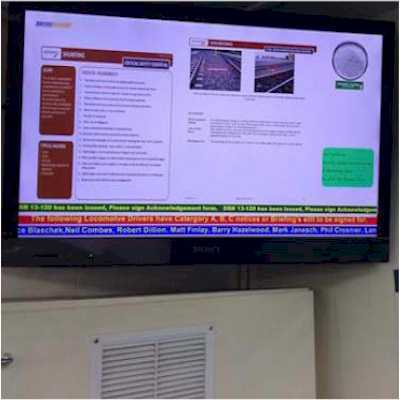 Repeat Signage can be used either completely standalone on any Windows based computer, or updatable via computer networks and the Internet. Trial download. View the brochure. "Around Australia in the Locomotive Drivers Depots, to keep the staff up to date with Business, Safety has been a challenge. The Adelaide Drivers Depot has been using Repeat Signage, with very good results. Having the ability to have changing scenarios, updating remotely, has been excellent. Before it was just PowerPoint rolling through the screen, now I can mix and match scrolling text with the RSS feeds etc." Len Smith, Pacific National, Australia. 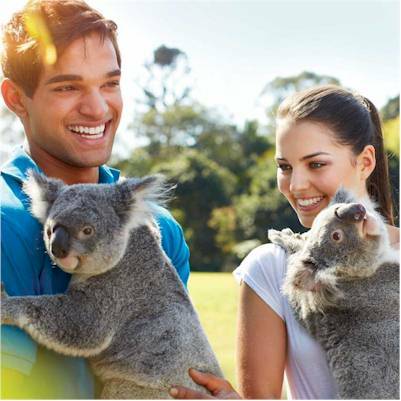 We also welcome working with additional reseller partners across Australia.